Perfect for grating carrots, cucumber, cheese and many more tasty ingredients to add to your dishes using this Progress grater. The smart design features a removable base made from non-slip thermoplastic rubber, so you can grate with complete ease on your kitchen worktop and then effortlessly remove the base to empty its contents. 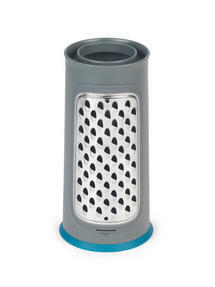 The grater can also be removed from its central cylinder after use for quick and easy clean up, made with strong stainless steel for outstanding quality and hygiene. 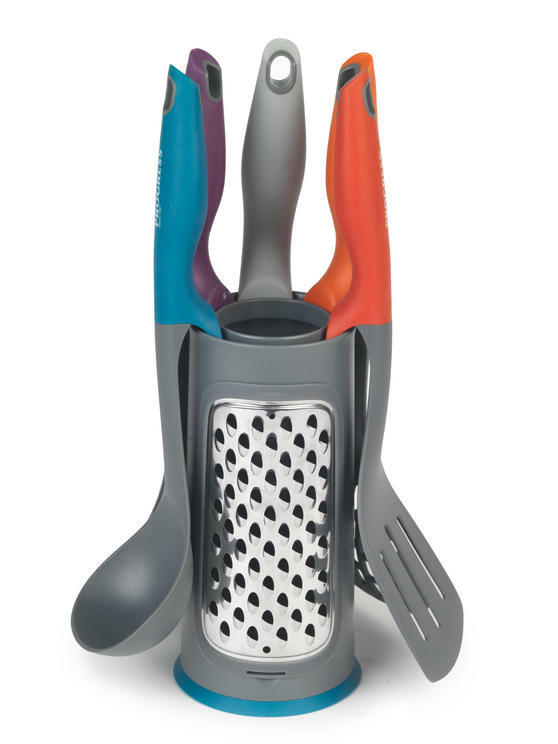 With this Progress grater you can prepare a variety of ingredients to add to delicious meals for your friends and family to enjoy. Measuring at 10 x 10 x 20 cm, the grater will look fantastic displayed on your kitchen worktop and takes up minimal storage space. The curved central cylinder has a very generous hold for your ingredients and can even be used to store the Progress elevated utensils. 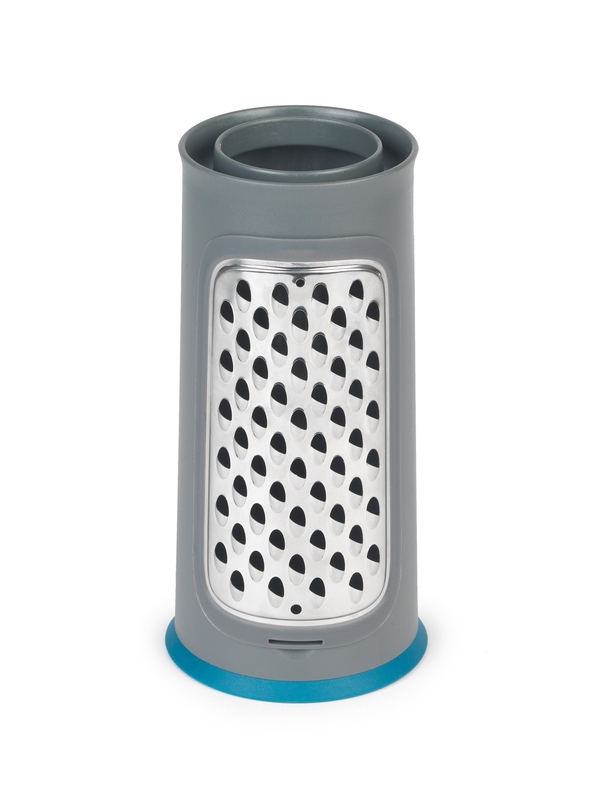 With a removable base and grater insert the device is incredibly easy to clean – simply wipe away any leftover food with soapy water. Made from brilliantly durable stainless steel and thermoplastic rubber, the grater is versatile for all of your food preparation needs.